Bhima Bhat, Jnaneshwara Shenoy, Aswini Dutt, Satish Kumar, Kalpana B, Shankar Bhat, Udayshanker Shet. Background: The relationship between dysregulation of cardiovascular autonomic functions and development of the hypertension has been well established in adults. Apart from the genes and environmental factors, obesity, sedentary lifestyle and dietary habits are the important contributors of increasing prevalence of hypertension even in youngsters. Studies on adults revealed that the vegetarian diet appears to be low in factors positively related to blood pressure when compared with non vegetarian diet. Aims & Objective: This study was designed to find the impact of vegetarian and non â€“ vegetarian diet on blood pressure regulation in early part of the life, like preadolescent boys. Materials and Methods: The study was conducted on 100 vegetarian and 87 Non-vegetarian pre-adolescent boys from Mangalore aged between 9-13 years. The parameters studied were BMI and Blood Pressure (Basal Supine, and hand dynamometer stress test).Values obtained were analyzed by paired and unpaired â€˜tâ€™ test and P value <0.05 was considered as significant. Results: The results showed that basal systolic blood pressure (SBP) and diastolic blood pressure (DBP) were increased in nonvegetarians. Both SBP and DBP increased significantly in both the groups during handgrip dynamometer test. But on analysis of these changes in SBP and DBP, only change in DBP was significantly more in vegetarians. Conclusion: Diet regulates blood pressure by influencing the autonomic activity as early as pre adolescent age group. Increased sympathetic tone at rest and a borderline response to handgrip dynamometer stress test in non vegetarians may act as a predisposing factor for the future development of cardiovascular disorders. Key words: Hypertension, Vegetarian, Non Vegetarian, Preadolescent, Handgrip dynamometer. 1. Pradeepa R, Mohan V. Hypertension and prehypertension in developing countries. Indian J Med Res. 2008;128(12):688-690. 2. Das SK, Sanyal K, Basu A. Study of urban community survey in India: growing trend of high prevalence of hypertension in a developing country. Int. J. Med. Sci. 2005;2(2):70-78. 3. National High Blood Pressure Education Program Working Group on Hypertension Education in Children and Adolescents: Update on the 1987 task force on high blood pressure: A working group report from the National High Blood Pressure Education Program. Pediatrics.1996;98:649-658. 4. Sanchez-Bayle M, Munoz-Fernandez MT, Gonzalez-Requejo AA. Longitudinal study of blood pressure in Spanish schoolchildren. Arch Dis Child. 1999;81:169-171. 5. Prineas RJ, Gillium RF, Horibe H. The Minneapolis children's blood pressure. Hypertension. 1980;2:24-27. 6. Fixler DE, Laird WP, Fitzgerald V. Hypertension screening in schools: Results of the Dallas study. Pediatrics. 1979;63:32-36. 7. Lauer RM, Clarke WR. Childhood risk factors for high adult blood pressure: the Muscatine Study. Pediatrics. 1984;84:633-641. 8. Rames L, Clarke W, Connor W. Normal blood pressures and the evaluation of sustained blood pressure elevation in childhood:The Muscatine Study. Pediatrics. 1978;61:245-51. 9. Cervantes J, Acoltzin C, Aguayo A. Diagnosis and prevalence of high blood pressure in children aged under 19 in Colima City. Salud Publica de México. 2000;42:529-532. 10. Sorof JM, Lai D, Turner J, Poffenbarger T, Potman R. Overweight,Ethnicity, and the prevalence of Hypertension in School-Aged Children. Pediatrics. 2004;113(3):475-482. 11. Falkner B, Sadowski RH. Hypertension in children and adolescents.Am J Hypertens. 1995;8:106-110. 12. Gupta R, Gupta S. Strategies for initial management of hypertension. Indian J Med Res. 2010;132(11):531-542. 13. Copertaro A, Barbaresi M, Bracci M. Shift work and cardiometabolic risk. Recenti Prog Med. 2009;100(11):502-507. 14. Goel R, Misra A, Agarwal SK, Vikram N. Correlates of hypertension among urban Asian Indian adolescents. Arch Dis Child. 2010;95(12):992-997. 15. Gupta R. Trends in hypertension epidemiology in India. J Hum Hypertens. 2004;18:73-78. 16. American Dietetic Association and Dietitians of Canada Position of the American Dietetic Association and Dietitians of Canada: Vegetarian diets. J Am Diet Assoc. 2003;103:748-765. 17. Davey GK, Spencer EA, Appleby PN, Allen NE, Knox KH, Key TJ. EPIC-Oxford: lifestyle characteristics and nutrient intakes in a cohort of 33 883 meat-eaters and 31 546 non meat-eaters in the UK. Public Health Nutr. 2003;6(3):259-69. 18. Melby CL, Goldfiles DG, Hyner GC, Lyle RM. Relation between vegetarian/non vegetarian diets and blood pressure in black and White adults. Am J Public Health. 1989;79(9):1283- 1288. 19. Ignatius GE, Schwarz ER. Impact of Dietary Patterns and Interventions on Cardiovascular Health. Circulation. 2006;114;961-973. 20. Key TJ, Fraser GE, Thorogood M, Appleby PN, Beral V, Reeves G, et al., Mortality in vegetarians and non vegetarians: detailed findings from a collaborative analysis of 5 prospective studies. Am J Clin Nutr. 1999;70:516–24. 21. Kestin M, Rouse IL, Correll RA, Nestel PJ. Cardiovascular disease risk factors in free living men: Comparison of two prudent diets, one based on lactoovovegetarianism and the other allowing lean meat. Am J Clin Nutr.1989;50:280-287. 22. Beilin LJ, Armstrong BK, Margetts BM, Rouse IL, Vandongen R. Vegetarian diet and blood pressure. Nephron. 1987;47:37-41. 23. Miura K, Greenland P, Stamler J, Liu K, Daviglus ML, Nakagawa H. Relation of Vegetable, Fruit, and Meat Intake to 7-Year Blood Pressure Change in Middle-aged Men - The Chicago Western Electric Study. Am J Epidemiol. 2004;159(6):572-580. 24. Varshney, Bedi VP, Bhandari MB. Effect of Non-Vegetarian Diet on Cardiovascular Reactivity to Mental Stress in Young Adults. Vascular Disease Prevention. 2005;2(4):293-298. 25. Laird WP, Fixler DE, Huffines FD. Cardiovascular Response to Isometric Exercise in Normal Adolescents. Circulation. 1979;59(4):651–654. 26. 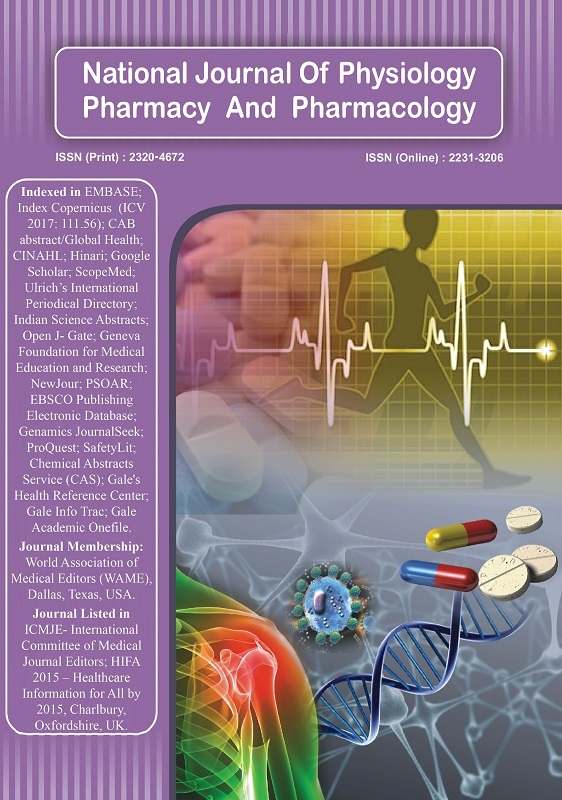 Ganong WF, Cardiovascular regulatory mechanisms, Exercise, Review of Medical Physiology, 22 Ed: Singapore: Mc Graw Hill:2005:597-633. 27. Ewing DJ, Erwing JB, Kerr F, Wildsmith JH, Klarke BF. Cardiovascular responses to sustained handgrip in normal subjects and in patients with diabetes mellitus: a test of autonomic function. Clin Sci. 1974;46:295. 28. Nageswari SK, Sharma R, Kohli DR. Assessment of respiratory and sympathetic cardiovascular parameters in obese school children. Indian J Physiol Pharmacol. 2007;51(3) : 235–243. International Journal of Cardiology 2017; 228(): 1022.